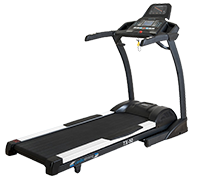 The Darwin treadmill TM40 offers good conditions for an easy running training at home - space-efficient and at an affordable price. 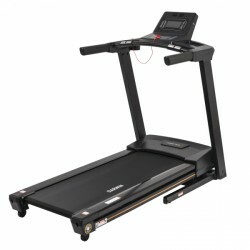 Thanks to the adjustable incline, even walking and hiking can be well trained. Providing a fan, loudspeakers, and a USB connection for charging mobile devices, the TM40 offers a very good equipment.